His Highness Sheikh Dr Sultan bin Mohammed Al Qasimi, Supreme Council Member and Ruler of Sharjah, today unveiled three ground-breaking real estate projects to be developed in Sharjah. 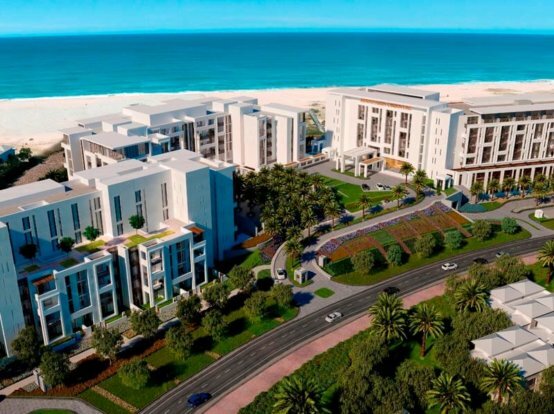 Worth a total of AED 2.7 billion, the trio of projects are the result of a joint venture between Sharjah Investment and Development Authority (Shurooq) and Eagle Hills, an Abu Dhabi-based private real estate investment and development company. 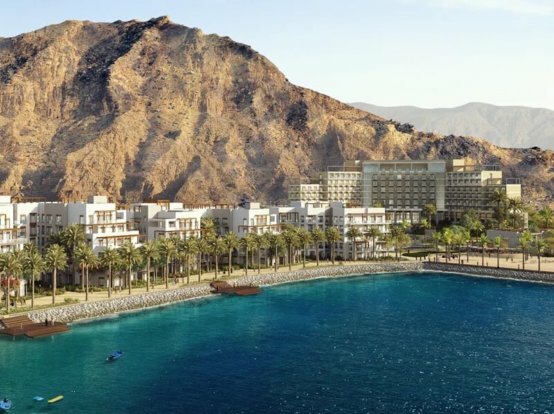 Shurooq and Eagle Hills will work together in a strategic partnership represented by ‘Eagle Hills Sharjah Development’, a dedicated real estate company that aims to develop the three projects; Maryam Island, Kalba Waterfront and Palace Al Khan. The large-scale projects including high-end hospitality facilities in Sharjah will give a strong boost to the Emirate’s flourishing property sector, setting new benchmarks for housing, hospitality and retail offerings, as well as lifestyle communities in the Emirate. The announcement was made during a ceremony held at Expo Centre Sharjah in the presence of Sheikha Bodour bint Sultan Al Qasimi, Chairperson of Shurooq, and Mohamed Alabbar, Chairman of Eagle Hills, as well as a number of CEOs, directors of government and private corporations, in addition to local and international investors. Sheikha Bodour Al Qasimi also reiterated her complete trust in the new partnership with Eagle Hills, to introduce a new chapter in Sharjah’s real estate sector, which will translate His Highness’s grand vision to increase investments and economic diversification in the Emirate. Maryam Island is the largest development of the three projects in terms of both value and area. The AED 2.4 billion mixed-use development will be located between Al Khan Lagoon and Al Mamzar in Downtown Sharjah, where it will be centrally situated within the city’s commercial and residential facilities. The breakthrough masterplanned waterside development will spread across 460,000 square metres, with a built-up area of 310,000 sqm. With stunning views overlooking Al Mamzar and Al Khan lagoons and Sharjah’s skyline, Maryam Island will house uniquely designed villages offering an excellent package of accommodation and holidays offerings. Through its unique design, residents and visitors will enjoy the serenity and tranquillity of the surroundings. The waterside development will comprise low-rise buildings that do not exceed eight floors, featuring 1,890 luxury apartments. 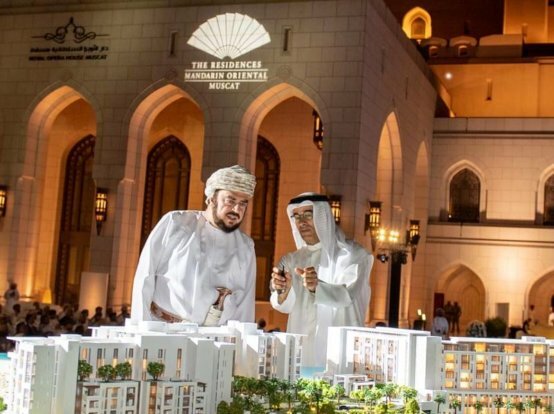 It will be home to premium five- and four-star hotels featuring more than 600 hotel rooms, with a series of 100 restaurants, cafes and retail outlets spread along the waterfront. Maryam Island will offer residents and visitors high-end service amenities and world-class facilities, including a spa, a fitness club, a swimming pool and a children’s play area. Work will commence in the first quarter of this year and is set for completion by the end of 2019. The AED 160 million Kalba Waterfront is a masterplanned retail development that is set to become one of the most prominent retail projects in the Eastern Region. The retail project has a gross floor area of 17,000 sqm and a gross leasing area of 11,200 sqm. The mall will be constructed within the Kalba Eco-Tourism Project, adjacent to Kalba’s stunning serene lagoon surrounded by mangrove trees, offering a unique experience in one of the most beautiful and tranquil areas in the country. The mall will house 86 retail outlets and top local and international fashion brands. With its unique interior design and its serene outdoor space, the shopping centre will offer an exceptional experience for visitors, tourists and residents. The unconventional design of the mall includes internal public streets where outlets and shops spread on both sides, with its outdoor dining space meaning that visitors can enjoy an al fresco dining experience and stunning views overlooking the mangrove-lined lagoon throughout the year. The mall will also include indoor and outdoor restaurants, a children’s play area and a park surrounding the lagoon, offering a unique atmosphere that allows visitors to relax and enjoy promenades on either side of the water feature. It will also host a supermarket, a family entertainment centre and a large indoor dining area. 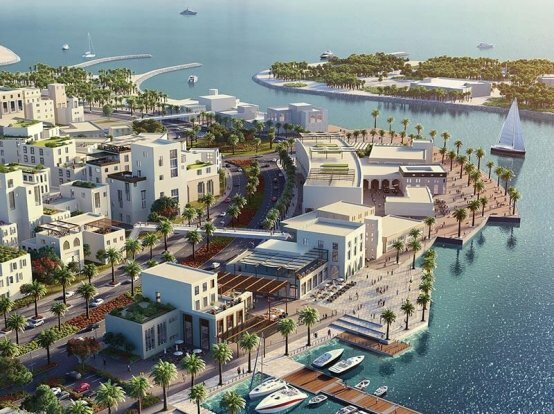 Work on the Kalba Waterfront will commence in the first quarter of 2018 and the development is set for completion in Q3 2019. Palace Al Khan, the third project to be developed by Eagle Hills Sharjah Development, is the first luxury waterfront resort in the heart of Sharjah city. Overlooking the Arabian Sea, the AED 120 million five-star seaside hotel will extend over 66,300 sqm. It will offer 87 hotel keys; two 2-bedroom units, nine 1-bedroom units and 76 studios. As a luxury resort, Palace Al Khan will offer residents a unique opportunity to experience the heritage of the region by living in a truly historical setting within an important pearling village in Sharjah’s history. With its beautiful interior halls and the natural views and green landscape, the hotel will be a haven for visitors who can relax and enjoy peace and tranquility in the heart of Sharjah. With its rich expereince in offering a fusion of contemporary style and elegance, Address Hotels + Resorts, a premium luxury brand by Emaar Hospitaly group, will manage Palace Al Khan. Work on Palace Al Khan will begin in the first quarter of 2018, and is set for completion in Q2 2020. “Managing Palace Al Khan reflects the expansion of our brand Address Hotels + Resorts to Sharjah, the cultural capital of the UAE and one of the most prominent tourist, lesiure and family destinations in the region. We will contninue to embrace our philosophy ‘Where Life Happens’ in managing Palace Al Khan, which is the same philosophy that led us to founding Address Hotels + Resorts to provide the very best service for our guests,” said Olivier Harnisch, CEO of Emaar Hospitality Group. Eagle Hills’ website, www.eaglehills.com, provides full details of the three projects and their potential investment opportunities. Further information can also be requested by calling Eagle Hills on its toll-free number 800 3423.